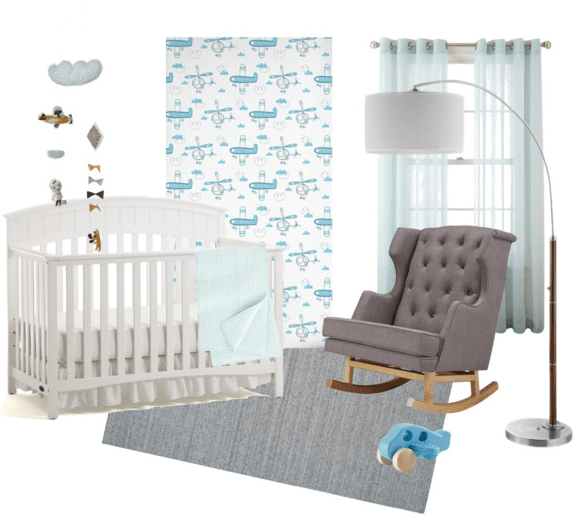 Choosing a wallpaper for your child’s room is a difficult task, especially when there are so many designs, patterns and color palettes to choose from! Here at Milton & King, we have a large selection of fun and exciting kids wallpapers for your child’s room or family playroom regardless of age, gender or interests. 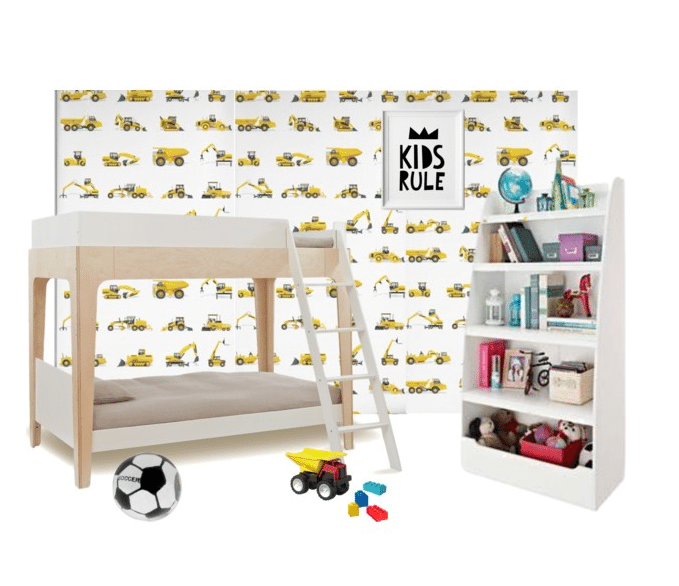 Wallpapers for your little one’s bedroom is a great choice over paint as it is super easy to clean and can be changed whenever you or your child desire, which is great as they get older and you want to transform the room from a nursery to a kids room, and then a teen bedroom. 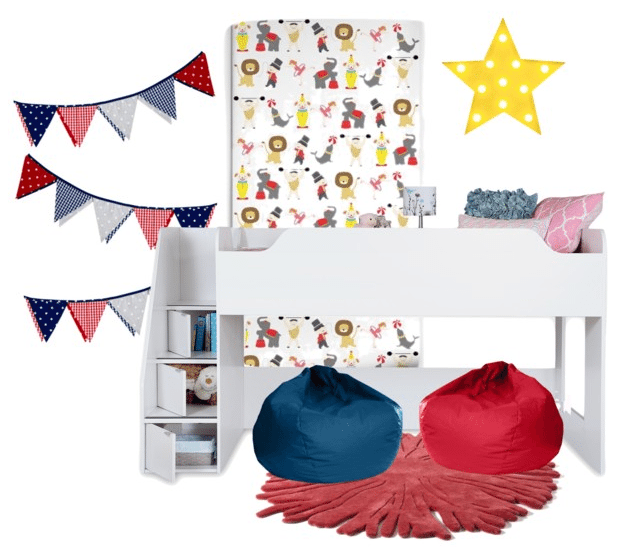 If you are interested in choosing a particular theme for your child’s bedroom and styling it to match, you can take a read of our recent blog post on 6 of our favorite kids bedroom themes here for a dose of inspiration. We love this super cute and simple wallpaper pattern that is an adorable collage of bow ties and moustaches. This wallpaper can not only be used in a child’s bedroom but also in other rooms around the house, so there are lots of options when it comes to installing and styling this design. This wallpaper is a popular hit with various ages as it is inspired by the hipster trend and isn’t an overwhelming statement with its monochromatic colors. Float away with this gorgeous feather pattern wallpaper. Coming in two colorways – pink or teal – this wallpaper is great for a nursery and won’t age as your child grows up. This soft pattern is a beautiful choice to help calm, soothe and relax a child of any age. This is a great option if you’re in the market for a cute feature wall that is not overbearing. Have a little builder in your family? Then they will love this tonka truck inspired design! A mix of various trucks and excavators, this design is great for the little bulldozer in your life who loves to move the sand around the sandpit and play with building blocks. 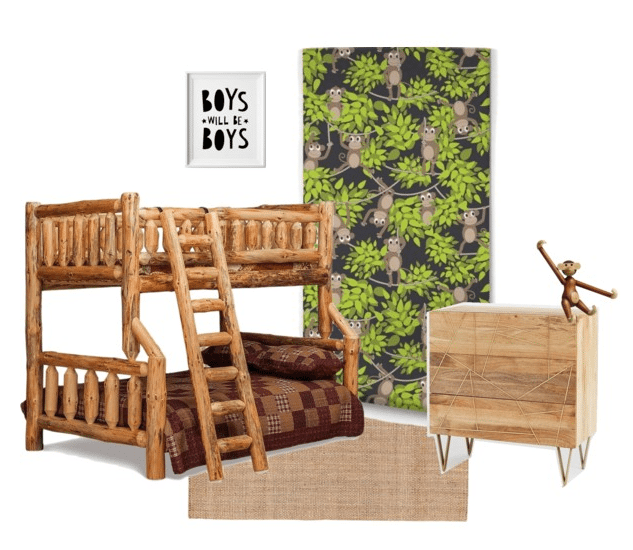 This design is best for a nursery through to the younger schooling years, and even makes a great feature in the playroom if you have a house full of boys. The bright colors are perfect for a fresh and energetic feel. Who doesn’t love pink elephants? 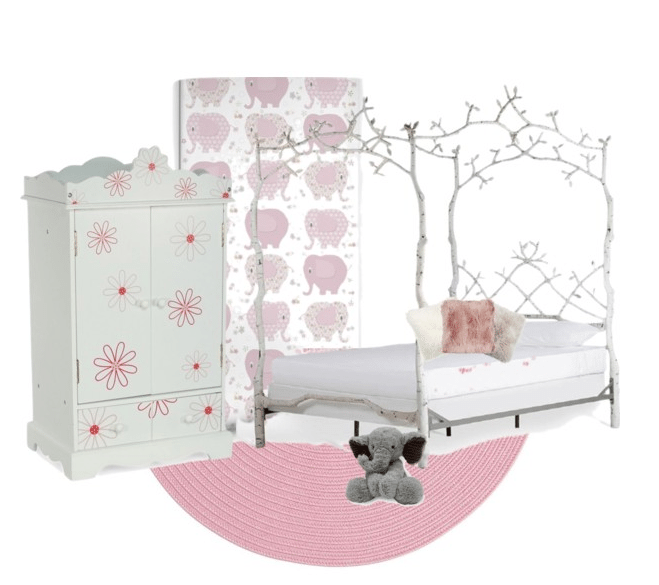 This super girly and adorable design is perfect for a newborn babies bedroom. The soft colors and cutesy pattern are a great feature in any little girls bedroom, and would be gorgeous when styled with pink accessories and some fluffy pillows. 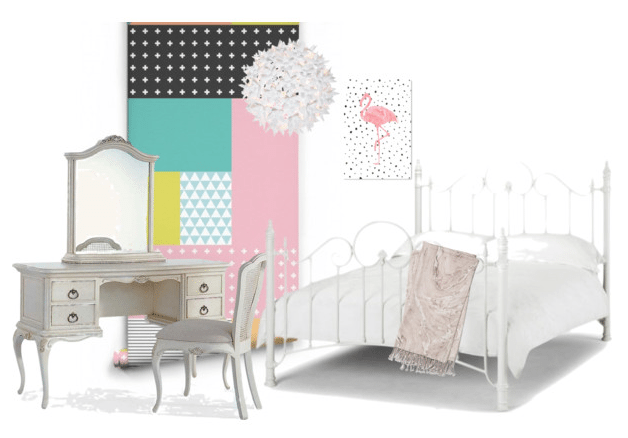 This design is one of our hottest wallpapers at the moment, so get on board and make your kids room pretty in pink. This robot design is a one of our favorite kids wallpapers simply because of the inclusion of so many fun colors and different types of robots! 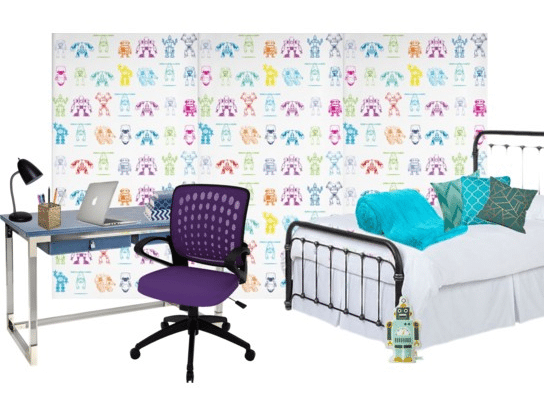 We love the fun colors and the awesome robots that are featured on this wallpaper and we know your little one will too. This design is super fresh and funky and it will keep your kids entertained for hours on end. This white and blue wallpaper is a great choice for any aspiring pilots bedroom. Let your child soar high into dreamland with the cute plane and helicopter illustrations. The simple pattern means that it will be perfect for your growing child and be suitable for various ages, so you won’t need to update the wallpaper for years. What is better for your cheeky monkey than a complimenting cute and fun monkey wallpaper? Available in two colors, your little monkey will love this pattern and the bright hues will bring life and energy into their room. This is another of our popular kids wallpapers, and with such a cute pattern it is no wonder why! We think this ‘Hello Berries’ design is absolutely precious! Perfect for a nursery or a little one’s bedroom, these soft colours and cute animals are pleasing to the eye and work at sparking imagination in young minds. The stunning and intricate design has been beautifully created and is sure to be the perfect choice for many bedrooms. Roll up! Roll up! This wallpaper features all your old favourites from the circus including lions, clowns and elephants. If your child is a lover of visiting the circus when it comes to town, this will be perfect for their bedroom. The bright colors and cute cartoons will captivate them and keep their play time inspired for hours on end. While this isn’t specifically a kid’s bedroom wallpaper, ‘Sentiments’ is bright, fun and quirky and would be perfect for the bedroom of a growing little boy or girl. It’s colourful, bright and super funky, so it’s perfect for the middle years right through to teens and can be styled a number of different ways. Do you have a favorite from the kids wallpapers above?  We’d love to hear your thoughts!